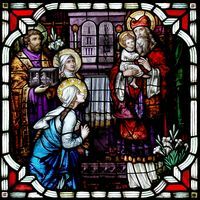 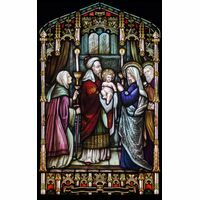 The presentation of the child Jesus at the Temple is illustrated with a Gothic style border and bold colors. 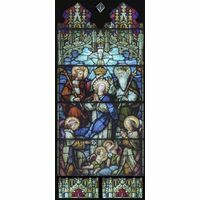 Reminiscent of the great cathedral art of Europe, this magnificent work of stained glass art is a study in symmetry and light, with hues that cross the full spectrum of color and naturally varied textures that reflect and refract the shifting shades of light as they move throughout the day, filling every area of placement. 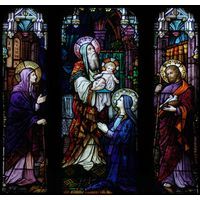 Perfectly balanced, brilliant, realistic imagery and exquisite design brings this tableau to life for all who are blessed to behold it. 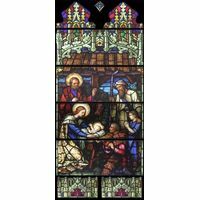 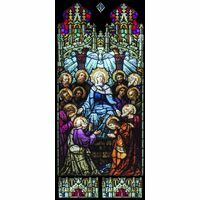 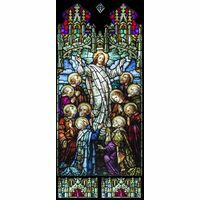 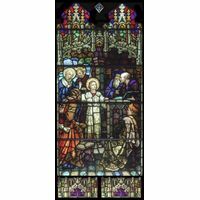 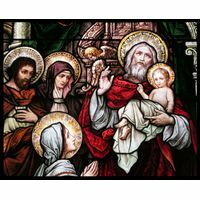 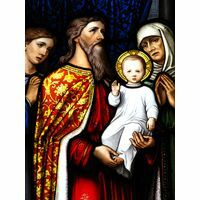 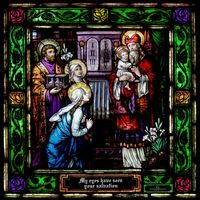 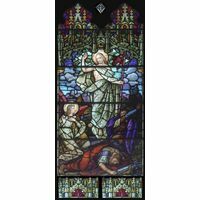 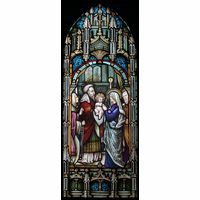 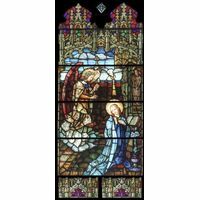 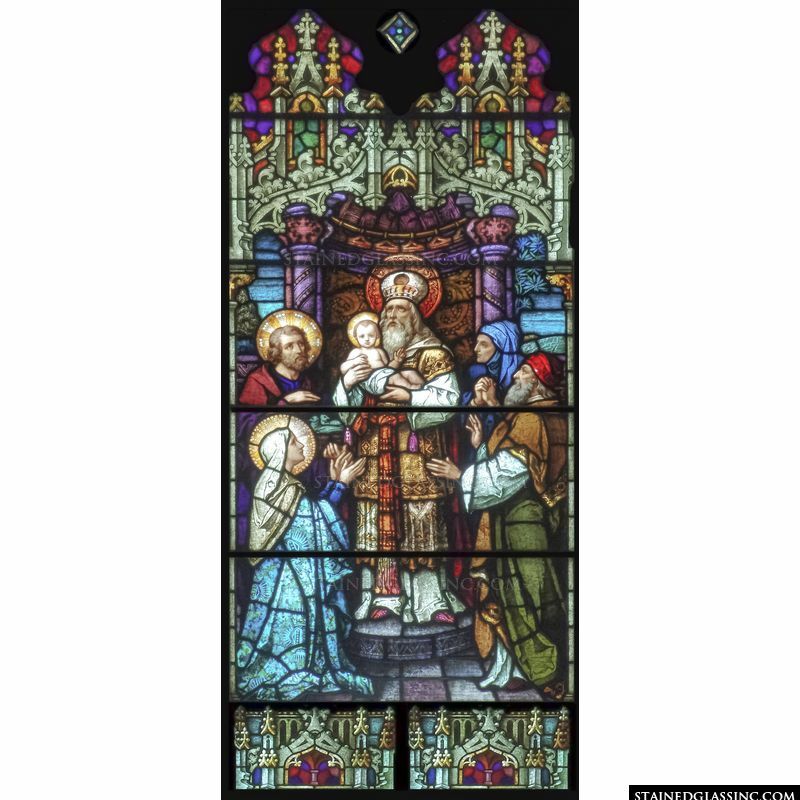 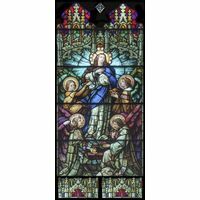 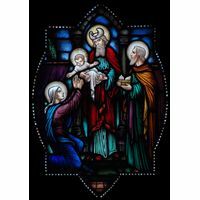 Created by master stained glass artists in the studios of Stained Glass, Inc., this lovely work of stained glass art is perfect for enhancing church, chapel, cathedral or shrine, or as a signature piece for home or business decor.